This year marks 58 years of dance excellence and the return of the Milliet Academy of Dance after the devastation of hurricane Katrina. Our mission is to educate our young people in the art of dance and life, with an emphasis on helping them become the best dancer and individual she or he can be. Our aim is to develop the life long love of the art of dance and self discipline with a desire to always achieve to their greatest potential. To achieve these goals we are continuing to review and modify our curriculum. Our dance program is constantly evolving. 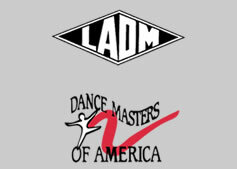 The Milliet Academy of Dance remains a studio where parents and students can trust that they will receive the latest in dance technique in a family environment. Our students and graduates have gone on to work on Broadway, Hollywood and open their own dance studios. Our students now attend N.O.C.C.A. and other accredited institutions. Yvonne Milliet, the founder of Milliet Academy of Dance, was the past president of Louisiana Association of Dance Masters and Dance Masters of America. Our teachers are certified dance educators. "The proper age to begin to dance is the age you happen to be"